It’s time to get that sparkling kitchen you deserve. After cooking fried foods or even baking your fabulous main course dishes, you may find yourself battling with the grueling experience of cleaning up the grease in the kitchen. This is never a fun thing to deal with since grease is much tougher to clean up than having some liquid spill on the floor. 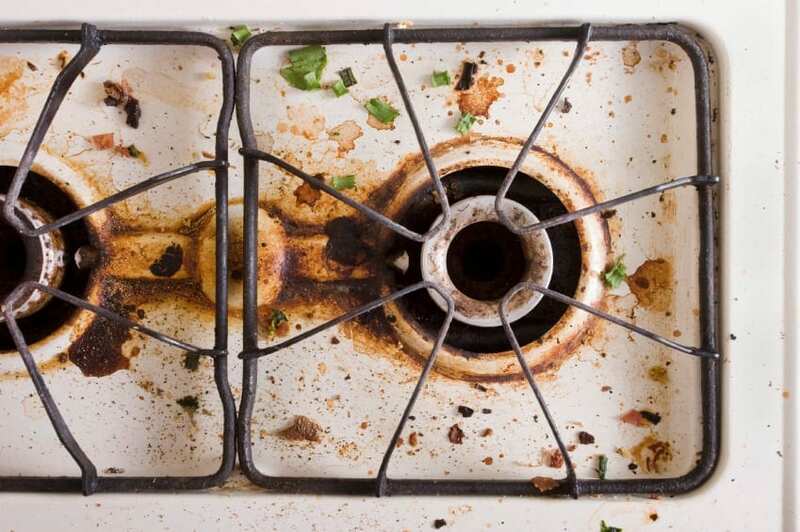 Grease can splatter not only on the counter, but it may also stick to kitchen walls and floors, which can stain and give the entire place an unsightly appearance. What’s more, getting rid of the mess can take so much of your time. You may even find it hard to completely remove grease if you fail to use the right item to do so. Hence, this task may be a frustrating experience for you. An effective way to get rid of grease in the kitchen is by using flour. For instance, you can simply sprinkle some flour over the spilled grease to help you clean the mess immediately. Flour contains components that absorb grease, and this makes it much easier for you to just wipe up the rest of that sticky and gooey grease. However, you have to make sure the greasy area is already cool enough before you touch and clean the mess. You can also count on this simple technique when you need to remove grease on a section of the kitchen that is not dry yet. However, once grease has hardened, you should may want to go for another technique since flour is no longer quite effective in that situation. If you find yourself dealing with grease on table linens and other soft surfaces, then what you can do to get rid of this is by squirting some dish soap onto the area. This is a common issue in the kitchen since grease can ruin the attractive and immaculate white appearance of your precious clothing or linens. However, by simply putting some soak on the affected area and letting soap stay there for at least 30 minutes, you can remove grease without any hassles. Just be sure to run the cloth under cold water to rinse the soap off and discover the linen to be stain-free. The secret behind this powerful effect of soap is the fact that it helps grease molecules to attach immediately while washing the mess away. Whether you are dealing with linens or clothes, there is no problem at all since kitchen soap can get the job done perfectly. An effective all-around cleanup tool in the kitchen and at any parts of your home, vinegar can remove grease in minutes. You can use it on areas that are caked with grease, as well as stains too tough to eliminate. Simply allow the vinegar to soak in the area for at least 5 minutes, and this should be enough to let the acidity to dissolve the stain and soften it for quick cleanup. This should make it easy for you to scrub away dirt using a soft sponge or dish cloth. Even in preventing grease get to your pans and pots, vinegar does wonders in this kind of job.